It is a full transformer set to which an ultimate detail can improve. I will reproduce Ford GT Carbon Wheel Set. ※+@ It's addition Radiator panel of detail. 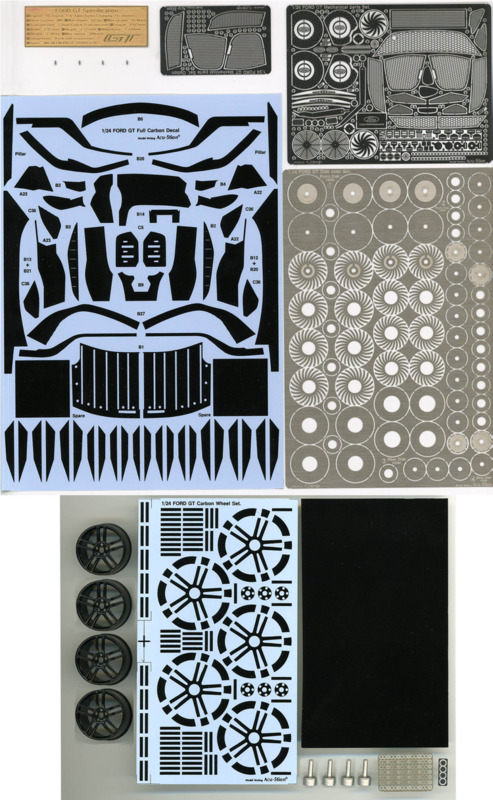 ●1/24 FORD GT Mechanical parts Set. ●1/24 FORD GT Disk roter Set. ●1/24 FORD GT Carbon Wheel Set. 【 Explanation 】The carbon wheel can select the display model & Atatti model. ※Reservation beginning!! 【 Attention 】Neither the carbon decal nor painting are being done by a regular commodity.